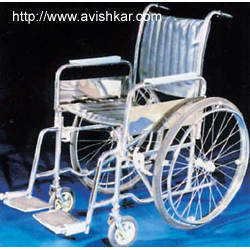 Our esteemed clients can avail from us a superior range of Rehabilitation Aid at industry leading prices. These are highly appreciated by our clients for easy maintenance and durability. Our range is manufactured using premium quality raw materials, which are sourced from certified vendors in the market. We manufacture products to meet the demands of the domestic as well as the international markets. Connection Bolt are one of the most common elements in construction and machine design, the dimensions used correspond to any size coarse or fine bolt, At least one thread must be protruding from any Connection Bolt. 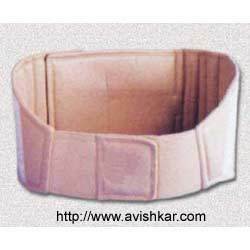 Our organization offers an exclusive range of Abdominal Surgical Belt to our clients at competitive prices. 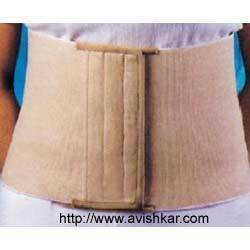 These post surgery belts prevent all kinds of internal injuries that may result from the body movements of the patients. The highly durable support pads also help in relieving pain that occurs when patients breathe, cough and move even slightly. These are used by our clients in huge requirements. Overlapping elastic straps for better grip. Light weight with anti-rolling stays. 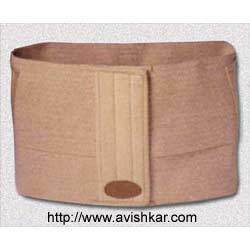 We are counted amongst the foremost manufacturer of Abdominal Surgical Belt (Extra Soft) to our respected clients. Our offered range of products is made using premium grade material and components and are sourced from trusted market sources. The highly durable support pads also help in relieving pain that occurs when patients breathe, cough and move even slightly. These are used by our clients in huge requirements. Our clients can gain from us a wide range of Shoulder Support, which is specially designed by our expert professionals for optimized shoulder support. The straps are then fitted over the shoulders, crossed at the back and knotted around waist in front at a convenient location. We provide controlled compression support and therapeutic warmth to the shoulder and upper arm, which reduces pain. We manufacture and export a wide range of Back Guard which are accurate in dimensions and also robust in construction that give superior performance. 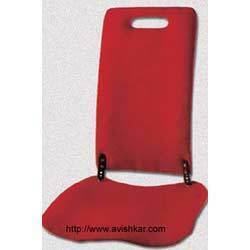 This guard provided light in weight , comfortable toweling back multi flex design and use of high density foam. Which can be modified in various dimensions and specifications that are led and demanded as per the client’s requirement and choices. An orthopedic and ergonomic seat scientifically designed to give contoured support to thoracic, lumbar and sacral part of the backbone. The contoured 2 piece moulded seat ensures back curve in correct shape. ldeal for use in the home, office, car, train and even in the garden and fits over any type of sitting arrangement. 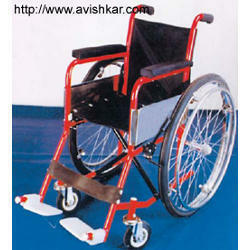 Height of backrest is adjustable as per individual requirements. Built-in handle for easy carrying. Light weight and folds easily. Attractive design with fabric lamination. Keeps it in natural or anatomic position. It provides gentle immobilizatin and comfort to the cervical spine. 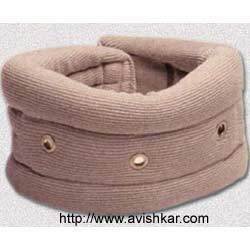 It helps to relieve the pain suffered from whiplash injury, stiff-neck and muscular tension. It is covered with soft cotton stockinette fabrics. Hole vents provide sufficient air flow. For therapeutic treatments in Arthritis, Sprain, Strain, Tendinitis and Bursitis of foream. Provides required compression to the long tendons of the forearm allowing them to remain pai free. Dual compression works simultaneously to treat both forehand and backhand tennis elbow. Ideal for sports and other physical activities. For best result wear 50 mm below the elbow. Made from soft and feather finished, 100 mm finest quality virgin elastic. 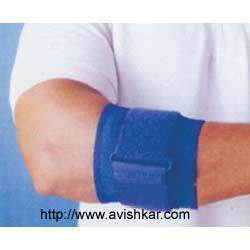 Special foam pad for additional pressure on the muscle of the arm or wrist without affecting blood flow. 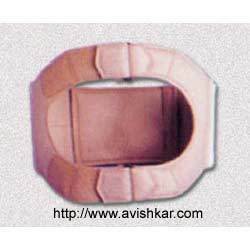 Extra support belt with ring for adjusting adequate compression as per requirement. 70, 80, 90, 100, 110, 120 cms. And also can be custom made as per doctor’s advice. Provides firm and stable support to imjured ribs and torso. Allows comfortable breathing, helps in reducing pain and promotes healing. Constructed from light weight and durable foam laminated fabric mesh. Specially contoured design with oval opening in front for females, covers 10” wide area in front and 6” at back for a comfortable and improved fit. Removable splints at sides for adequate compression to full rib cagge. Designed to fix from front as well as from back to provide wider adjustment and wearing comfort. Soft padding at back provides support and avoids imitation. Our esteemed clients can avail a broad gamut of Rehabilitation Aids such as Lower Rib Support With Removable Splints that is designed to limit sudden expansion of rib cage post surgery and to facilitate sufficient compression. It offers firm and consistent support to injured ribs as well as torso by allowing comfortable breathing and has a special contoured design for females. It is constructed with premium grades of foam laminated fabric mesh that is lightweight and durable. It can be fixed from front as well as back and offer a wider range of adjustments and has removable splints at sides for sufficient compression to the lower rib cage. It is provided with soft padding at the back for support and to avoid irritation. Our clients can avail it in different standard sizes that can also be customized as per doctor’s advice. 70, 75, 80, 85, 90, 95, 100, 105, 110, 115, 120 cms. And also custom made as per Doctor’s advice. A thoracic support which gives adequate compression and restricts sudden expansion of rib cage following fracture and/or surgery. Provides firm and stable support to injured ribs and torso. Allows comfortable breathing, help to reduce pain and promotes healing. Constructed entirely with 125 mm elastic fabric. Removable splints at sides for adequate compression to full rib cage. Easy and inconspicuous to wear. Available in attractive beige colours. 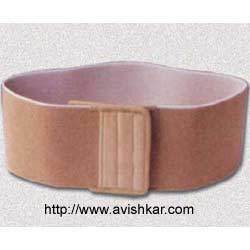 We are recognized as one of the most reputed manufacturers, suppliers, and exporters of premium range of Rehabilitation Aid such as Elastic Rib Belt that is extensively used as a thoracic support to prevent sudden expansion of rib cage following surgery or a fracture. We use the best grades of elastic fabric to manufacture these in our state of the art facilities. These are provided with soft lining to offer comfort to the skin and it is easy to wear under clothing. It allows comfortable breathing and also alleviates pain. It can be fixed comfortably with help of hook and loop mechanism. 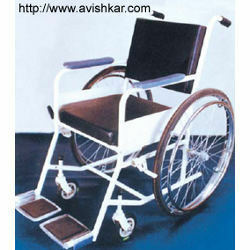 We offer these in different standard sizes and can even be customized according to doctor’s suggestion. Designed to maintain reducible inguinal Hernia or a rupture in reduction. 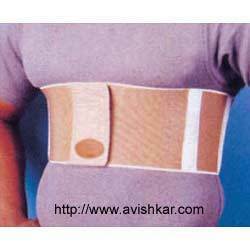 Made from finest quality of cotton based ventilated surgical elastic. Gives adequate pressure with adjustable and comfortable pads. Either pad can be removed to support a single Hernia. Leg straps are adjustable and are made up of soft elastic. Fixes with Hook and Loop fasteners. We are pleased to present supreme quality Wrist Binder from our wide assortment of Rehabilitation Aids. It is designed to support to the wrist muscles as well as bones following fracture, micro trauma or in variety of inflammatory conditions such as arthritis, tenosynovitis and many more. These are also used extensively in sports activities such as badminton, tennis, and so forth. We use the finest grades of elastic fabric and manufacture these by adhering to rigid quality norms in accordance with set standards of industry. These are available in vibrant colors and patterns with double hook and loop fasteners. Our clients can avail these at reasonable prices. Saber wrist brace is designed to immobilize the wrist and upper bone to relieve pain from post-fracture Bursitis Micro trauma, Strains, Sprins, Tenosynovitis, Arthritis and other conditions requiring orthopaedic support. Physical & Psychological assurance & confidence. Made from 75mm finest quality virgin elastic. One size fits all, and fits right or left. 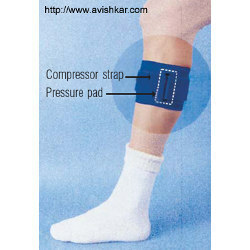 Designed to provide adjustable compression and support for weak or over stressed ankle joint. 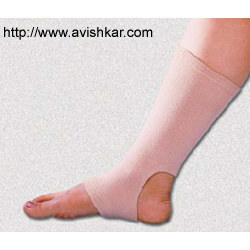 Helps reduce swelling and prevents stiffness after injury. 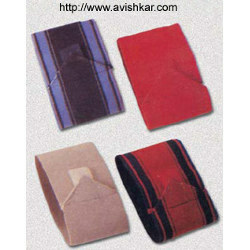 Provides warmth, increases blood circulation, speeds-up healing and maintains flexibility. Recommended for sprinters and in other sports activities. Unique surgical elastic strap provides adjustable compression and support for weak or overstressed ankle joint. Fully elastic which can be easily adjusted to fit into the footwear. Avoid using continuously, or while sleeping. Being two way stretchable, soft and seamless with open toe and hill, it feels comfortable throughout the day. Helps in post-operative knee Sprains, Strains, Arthritis. Provides compression for weak or over stressed knees. Minimizes chance of knee injury in sports and other activities. Two way expandable tubular type elastic provides mild support to the knee and increases blood circulation. Made from surgical elastic specifically to ratain body heat and keeps knee joint warm. Provides therapeutic support, warmth, gentle and uniform compression from just below the knee to the ankle and it provides relief to tired and aching calf. Timely usage of the product may avoid acricose veins. Being two-way stretchable, soft and seamless with open toe and heel, it feels comfortable throughout the day. Use in the treatment of bone, muscle, and / or ligament injury to the hand, arm or shoulder. Provides support and protection following surgical or non-surgical correction. Made from lightweight and durable foam laminated fabric mesh which is especially suitable for patients wearing synthetic casts. Adjustable strap with slide buckle ensures easy wearing proper and comfortable fit to individuals. Diagonal strap design limits pressure on back and shoulder. Special pad on shoulder strap for added patient comfort. Thumb loop allows patient to relax hand. Designed to either right or left arm. Closes with Hook and Loop fasteners. Washable, with hand or machine. Available in attractive Light Blue and Beige colour. 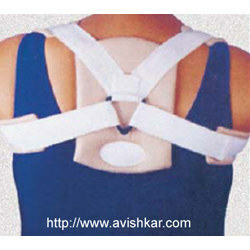 Promotes healing by immobilizing the shoulder and upper arm in dislocation, fracture, strain, sprain and other injuries. Constructed from lightweight and durable foam laminated fabric mesh for extra protection and comfort. Easy-to-adjust design with criss-cross straps at back fits most comfortably at proper location. 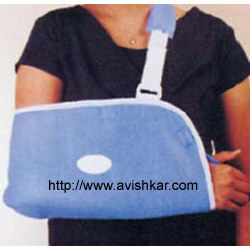 Detachable swathe effectively immobilizes the shoulder and also can be used alone as an arm sling. Fits either or left arm for male or female patients. Washable with hand or machine. Provides therapeutic support, warmth, gentle and uniform compression from calf to ankle and thus gives relief to tired and aching calf. We are engaged in manufacture, supply, and export of a wide gamut of Rehabilitation Aids including Walking Stick that is made from the highest grades of raw materials such as aluminum. These are provided with vinyl covered handle for an easy and firm grip. Length can be adjusted telescopically by a push button as per individual requirement. It has a special rubber at the bottom to prevent slipping. The body is powder coated for longer service life. We offer these in different versions with or without tripods and in regular or Bellows grip. Our valued clients can avail these at very reasonable prices. Elbow Crutch is a modified walking stick, which provides in addition to the handgrip, an additional support to the forearm. There in an upward adjustable extension, set a little angular, with a cuff attached to the upper part of the extension. The cuff partly encircles the upper forearm as shown in figure. The cuff made of special flexible plastic material opens comfortably to allow the forearm and is fixed with soft cloth liner. The weight is borne partly through the hand and partly by the elbow pressing at the cuff. Hence the name elbow crutch. 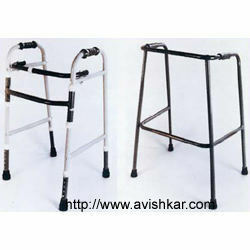 Sturdy and light weight hollow Aluminium construction. 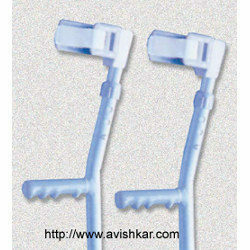 Two way adjustable length telescopically with snap locking facility through perforations at the required length. Thus it adjusts between the handle and cuff,and the handle and ground. Effective, movable and comfortable forearm grip with detachable soft liner inside. 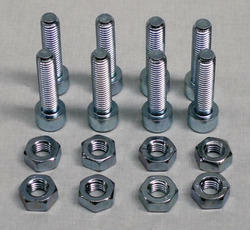 Also hook and loop fasteners for easy fixing and greater control. Handgrip with more effective profile having space for fingers on which the hand naturally rests. One size fits all, irrespective of whether the user is young / old or male / female. Special Rubber Grip at bottom to avoid possible slip. Attractive colour and powder coated finish for better look and longer life. Provides uniform compression, protection and support to strained muscles and shin splint. Provides therapeutic warmth in the effected or injured area and encourages blood vessels to diate, which in turn allows more blood to the area and thus promotes faster healing. Ideal for aching and painful calf. 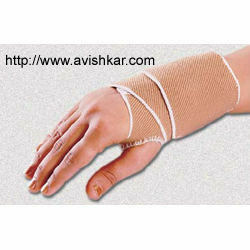 Made from finest quality feather finished surgical elastic. 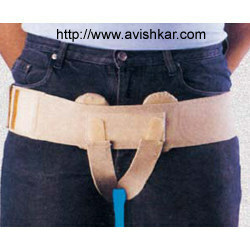 Compressor strap with ring adjusts it for mild, adequate or extra pressure as per individual requirements. Fixes with Hool and Loop fasteners. 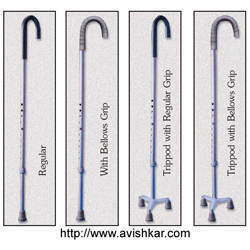 Walking Sticks and Crutches offeredcome in quality construction and sturdy finish and come supported by single piece mould plastic cuff and handgrip somas to allow for convenient usage. Further, these can be quickly adjusted as per the specific end usages and are made available in color options of blue, green and others. Some of its features include available in aluminum alloy material with option of fully adjustable height of 116cm to 135cm; come with durable hand bar support; adjustable grade options provided in bar part; allows for safe and secure usage. Front with 5” Solid Castors & Rear 26” Solid Wheel with brakes. Castors & Rear 24” Solid. Wheels with brakes. 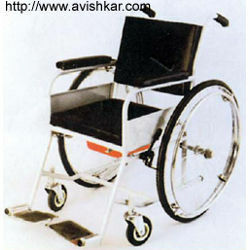 Cushion Back, Fixed Arm-rest, Front with 5” Solid Castors and Rear 24” Solid Wheels with brakes.